Rachel Zimm: Laura Story CD Giveaway! Good morning! 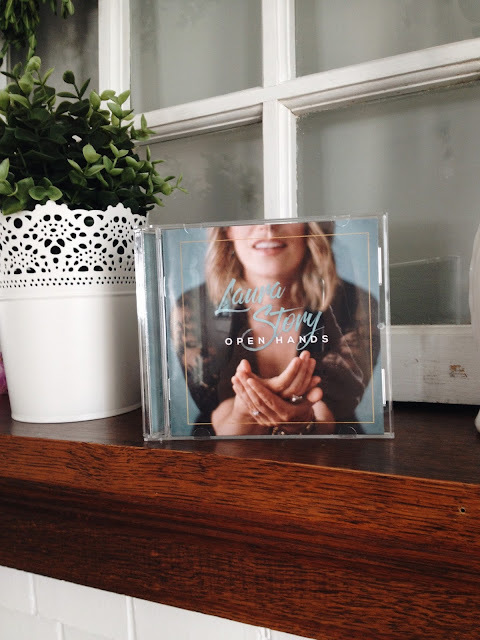 Today, I'm giving away a copy of Laura Story's new CD, "Open Hands"! It's very possible you've heard some of her music on the radio over the past few years. Some of her more well-known songs are "Mighty to Save," "Blessings," and "Indescribable," which she wrote for Chris Tomlin. If you're not familiar with Laura's music, you need to know that this CD is one you can have on any time of the day. All of the songs are pleasant to listen to; the music is consistently smooth and contemplative. Several top names from today's Christian music scene have helped on this album in one way or another, which adds another layer of depth to the project. Matt Maher and Matt Redman are among the songwriters collaborating with Laura. Mac Powell from "Third Day" is featured on the title track, and as soon as he starts singing it feels like you've known the song forever! There are also at least two old hymns that have been adapted into new songs, "My Jesus, I love Thee," and "O For a Thousand Tongues to Speak." In addition to currently leading worship at a large church in Atlanta, GA, Laura is also an author, wife to Martin (a brain tumor survivor), and a mom of three, including two-and-a-half year-old twin boys. Buy Laura's CD on Amazon here. Enter the Rafflecopter below for your chance to win a copy of "Open Hands"! !